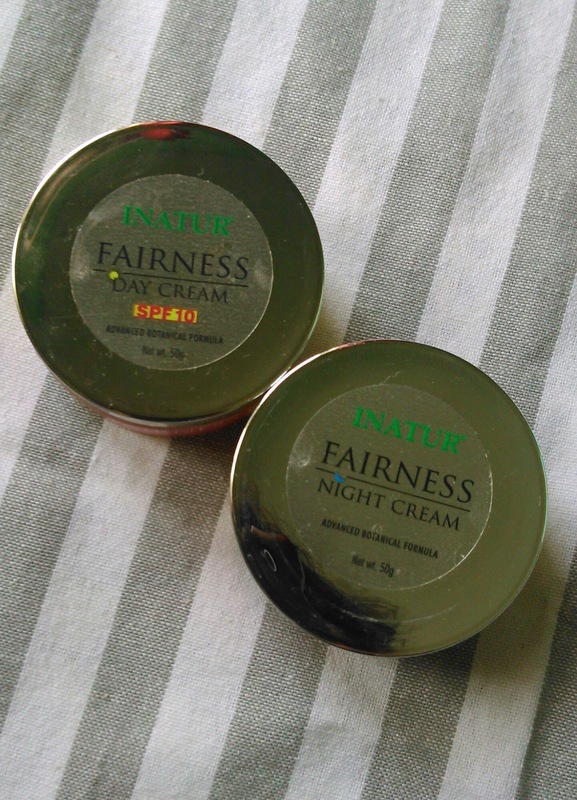 Inatural Herbals fairness therapy face creams have two cremes day and night cream. 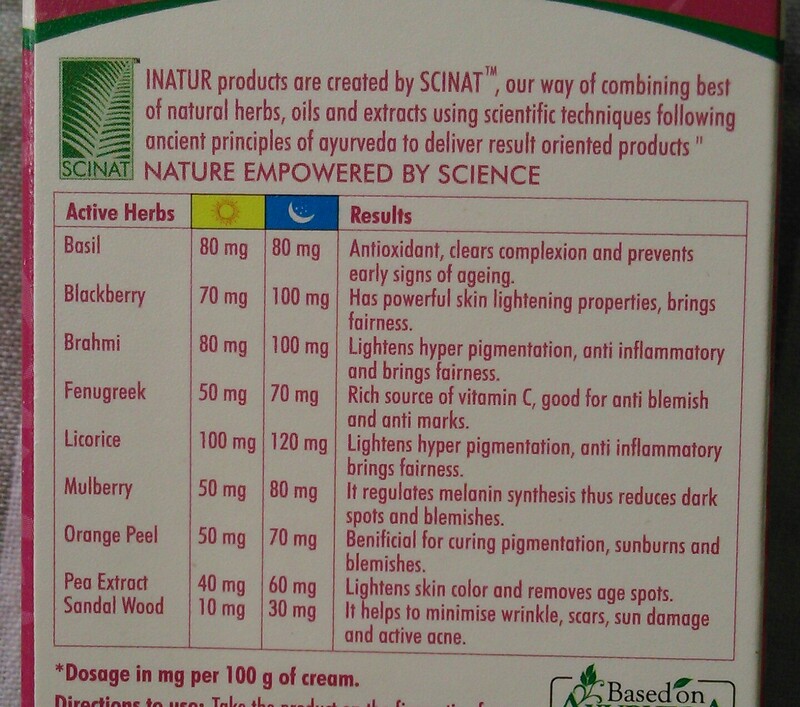 Inatur claims that this innovative therapy works round the clock to bring fairness and healthier complexion to the skin. The therapy contains basil, blackberry, brahmi, fenugreek, Liquorice, mulberry, orange peel, pea extract and sandalwood. 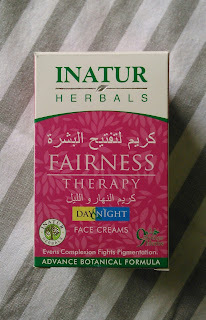 Let's see the review of Inatur Herbals fairness therapy day cream and night cream . The cream has plant derived actives to prevent melanin formation, unique combination of UVA/UVB absorbers and sucrose dilaurate that prevents pigmentation. 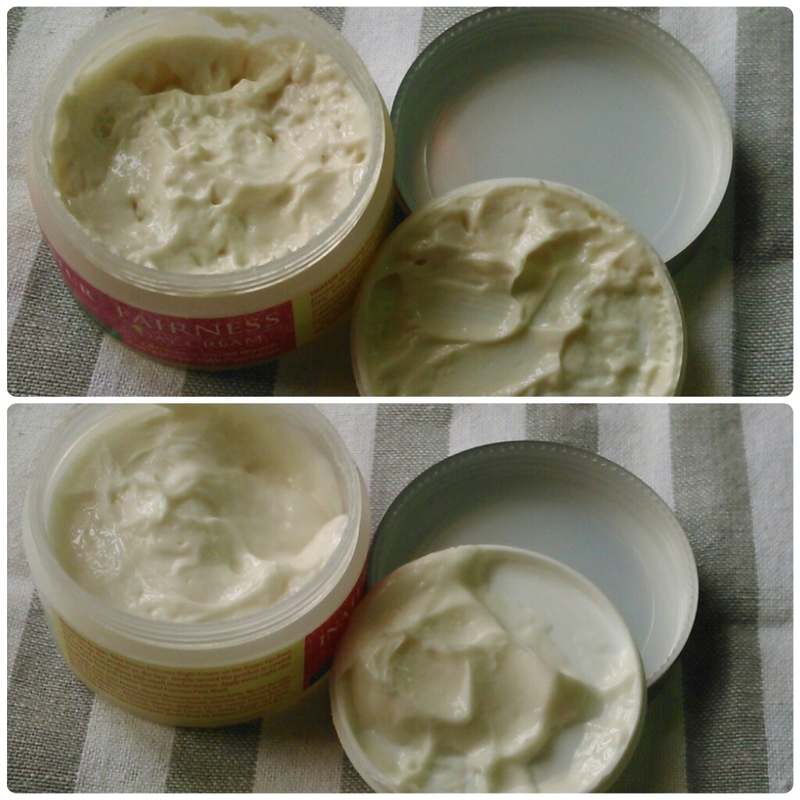 Regular usage for 7 days makes the skin fairer and lightens the complexion. It controls melanin formation, arrests pigmentation and reduces age spots for a fairer complexion with the herbs and natural actives enrichment. Take the cream and evenly divide on face. Gently spread on face in upward and outward direction with small circular motion. Use every morning and night after cleansing the face. I have used both the creams for 7 days as directed in daytime and nighttime and have seen visible effects in the pigmentation under my chin area. It is stubborn pigmented patch which didn't heed to the Inatur Herbals Sandal Facepack. The creams are packaged in a plastic jar with a plastic lid. There is another plastic lid apart from screw lid for non spillage purpose. The creams are very creamy in texture. 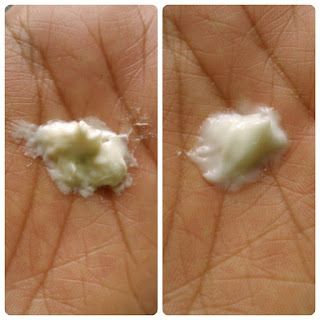 The fragrance of both the creams is very herbal in nature and is like saunf. The fragrance fades away easily and it is not bothering at all. The night cream is white in colour whereas the day cream is a little tinted sort with a subtle orange hue. The day cream feels a little oily if applied in excess. The night cream is not at all oily and is very light weight. The creams do not leave an oily residue and don't feel oily if applied in moderation. They get absorbed easily and moisturise as well as nourish the skin intensely. After about 6 hours the skin doesn't feel as if we have applied any cream, so the creams get readily absorbed by the skin. The therapy is really effective for the job it claims to do. Very less quantity is required so the product will last quite a long time. Day cream is a little bit oily if applied in excess. Price and Shelf life - 500 INR with a shelf life of 27 months. The Fairness Therapy pack is quite an innovative product to help pigmentation and lighten the skintone. 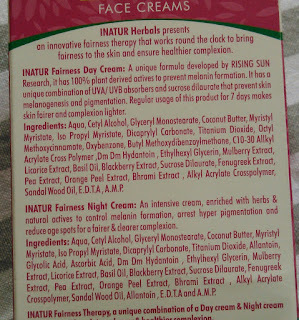 The ingredients' list is very impressive and the luxurious packaging makes us fall for the product. A definite buy if you are looking for a product to fight pigmentation, reduce acne scars, pigmentation, lighten the skintone. Plus the creams nourish the skin and perform a dual job of moisturization as well as work on pigmentation. Repurchase - I would love buying just the night cream because I really don't use any day cream and mostly use BB cream during daytime when heading out. I would love using night creams as cremes work well at night. Recommendation - I would highly recommend the Inatur Herbals fairness therapy for acne scars, pigmentation and improving the skintone as well as complexion as it really works.